Just a few months after logging its first 10 million autonomous miles, Waymo has launched its first public self-driving service in Phoenix, Arizona. Initially, the service -- called Waymo One -- will only be available to Phoenix-area members of Waymo’s Early Rider program, which the company debuted in 2017. Waymo said it plans to expand the availability of the service over time, but it emphasized that it’s navigating its next steps carefully. Waymo, which is owned by Google, says it will have Waymo-trained safety drivers behind the wheel of each autonomous vehicle. The company said it plans to phase out these drivers eventually but didn’t provide a timeline for when this might happen. Early riders who are invited to use the Waymo One service will help the company gain important insights about the capabilities of its technology. 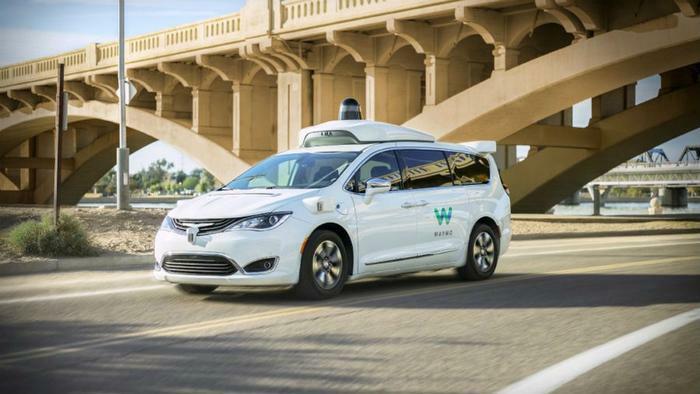 “They’ll help test early features before graduating to Waymo One where new capabilities can be accessed at scale by the public over time,” Krafcik wrote. Waymo’s vehicles can accomodate up to three adults and a child, “so there’s plenty of room to bring friends and family along to share the experience,” Waymo said. The service will operate similar to the way Uber and Lyft operate, and riders will be charged fares for riding in the autonomous taxis. “Riders will see price estimates before they accept the trip based on factors like the time and distance to their destination,” the company said. “The vehicle was hyper-aware of pedestrians and had trouble distinguishing their intentions. For example, it stopped for a man standing at a crosswalk talking on his cell phone even though it was clear that he was not going to cross the street,” Reuters said. However, some capabilities of the vehicles did impress the news outlet. For example, the vehicle was able to cross three lanes of oncoming traffic to execute a left turn into a parking lot. The safety supervisor “never touched the wheel during the entire drive,” Reuters noted. Waymo was granted the first permit in California to begin driverless testing on public roads back in October.